Web AppBuilder gives you a way to create web applications in ArcGIS from scratch without writing a single line of code. They come together in ArcGIS 10.3 to transform the way your organization uses GIS to do its work. This brand-new app is included with ArcGIS for Desktop. It enhances desktop GIS and makes GIS easy for new users. With its 64-bit architecture and new display engine, this multithreaded app provides much faster geoprocessing than ArcMap. You can design and edit in 2D and 3D. You can work with multiple displays and multiple layouts. With ArcGIS Pro you can easily make your maps accessible across the entire platform by publishing them to ArcGIS Online or Portal for ArcGIS. See the accompanying article, “ArcGIS Pro,” for more information. Portal for ArcGIS is a front end to ArcGIS for Server that expands the use of maps and GIS throughout your organization. 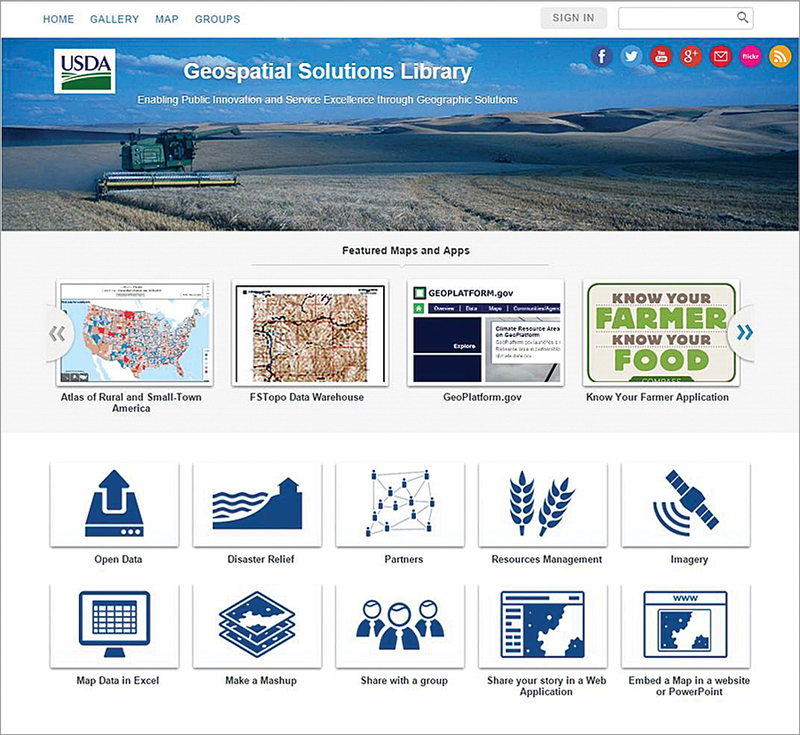 People can find, use, create, and share maps and GIS apps built on top of ArcGIS for Server. This makes mapping and spatial analysis more accessible even for people who may not be very familiar with GIS. 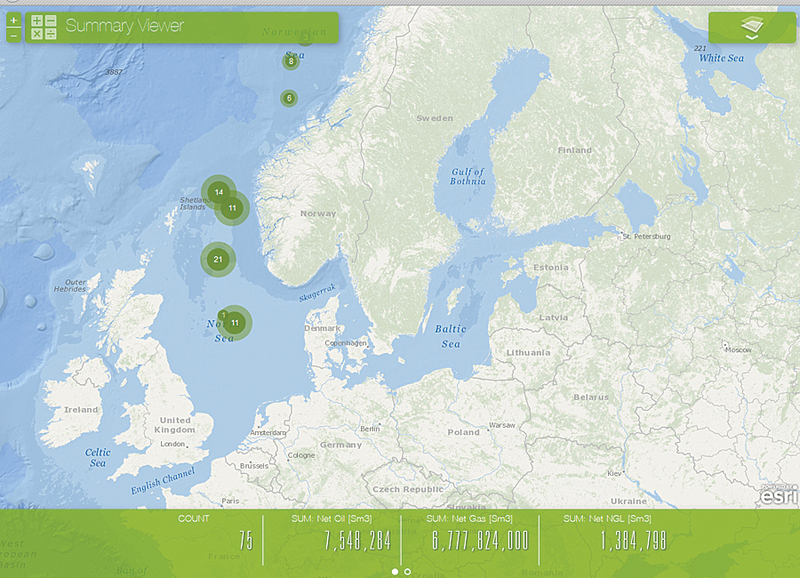 One of the out-of-the-box configurable web apps, Summary Viewer, is a dashboard that summarizes the numeric attributes of features in a specific operational layer of the map extent. 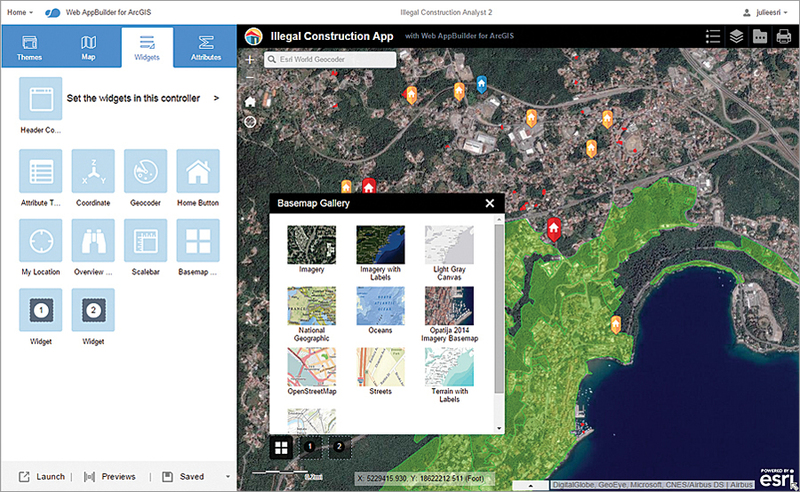 Portal for ArcGIS includes a powerful suite of mobile and desktop apps, such as Collector for ArcGIS, Operations Dashboard for ArcGIS (both the desktop version and the cool new web version), Esri Maps for Office, and Explorer for ArcGIS. These apps provide you with a great way to boost productivity. Portal for ArcGIS works with ArcGIS Pro, allowing you to publish and manage the maps you create with ArcGIS Pro. From an enterprise perspective, Portal for ArcGIS provides organizations with a well-defined process and the tools to manage maps and perform spatial analysis. Portal for ArcGIS allows organizations to effectively create, store, secure, and manage information products and access geographic tools in a central location. At ArcGIS 10.3, customers with ArcGIS for Server Standard and Advanced licenses get Portal for ArcGIS at no additional cost. ArcGIS 10.3 gives two easy ways to create web apps. You get out-of-the-box configurable web apps that use templates, and you get Web AppBuilder for ArcGIS. ArcGIS 10.3 includes an incredibly powerful collection of tools for creating web mapping applications. The Web Application Templates include the Summary Viewer, a dashboard that summarizes the numeric attributes of features in a specific operational layer of the map extent, and Local Perspective, which highlights features from a web map based on a location or address you select. Web Application Templates deliver great experiences for users performing everyday tasks. These templates can be easily configured so you can create web apps quickly using just these out-of-the-box tools. Portal for ArcGIS is a front end to ArcGIS for Server that expands the use of maps and GIS throughout your organization. Web AppBuilder is yet another way to create web applications in ArcGIS. Using Web AppBuilder, you can configure applications that include both out-of-the-box and custom widgets and themes. You control which tools are added to your app without writing a single line of code. Web AppBuilder includes advanced tools for geoprocessing so you can take advantage of the most advanced spatial analysis capabilities in ArcGIS for Server. Your apps will not only work on desktop browsers but also in browsers running on tablets and smartphones so you can easily share your work with the rest of the ArcGIS community. Developers can take advantage of the Web AppBuilder extensibile framework by downloading and installing Web AppBuilder (Developer Edition) on a local machine. Organizations with web development skills can use the Developer Edition to further refine capabilities and the look and feel of their web applications. Used together, ArcGIS Pro, Portal for ArcGIS, and Web AppBuilder create a new foundation for the ArcGIS platform that allows you to extend the reach of Web GIS throughout your organization whether you are running it on your own infrastructure, online hosted by Esri, or some combination of the two.